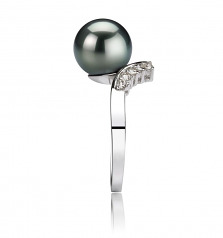 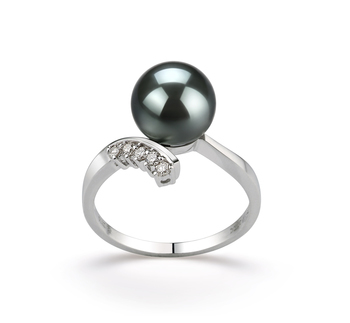 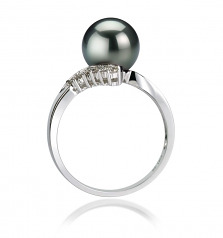 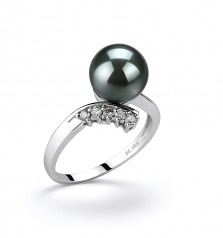 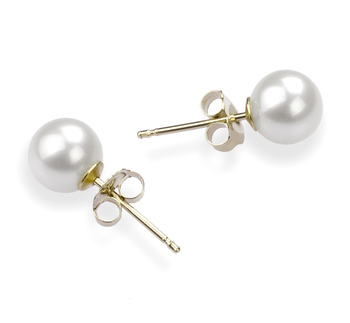 A 14K White Gold ring that splits open and out to reveal a lavish bed for the Magnificent and large 8-9mm Black Tahitian Pearl, is what you are looking at here. 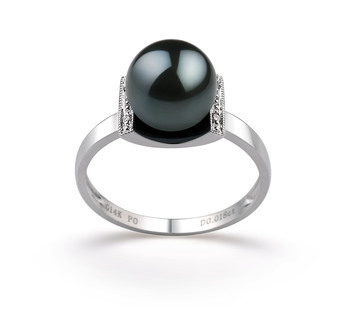 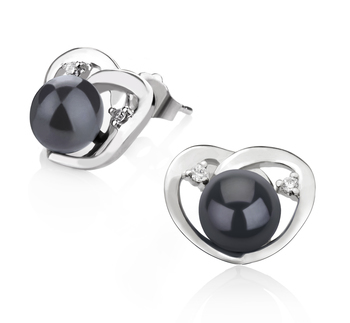 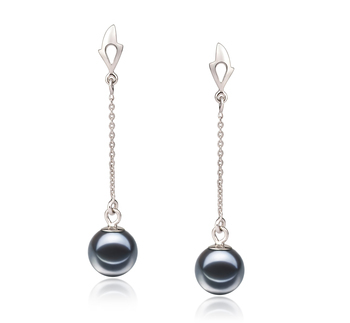 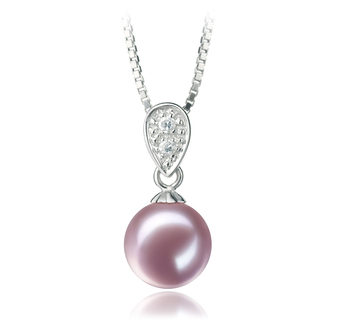 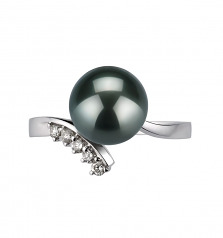 he sparkling glow from the lustre can be seen circling the black pearl and casting around the 14K white gold ring. 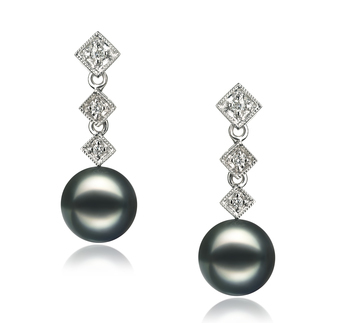 In all the glory, there are sparkles everywhere.